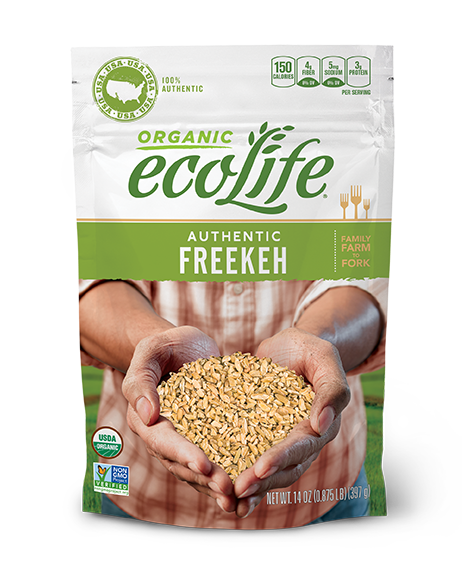 ecoLife® Authentic Roasted Freekeh is the name of wheat that’s harvested while still green and tender, then dried and gently roasted to produce a grain with a barley-like flavor and a subtle hint of smokiness. 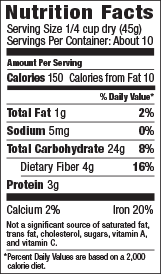 An excellent alternative to conventional wheat, freekeh offers high amounts of protein and fiber with a lower glycemic index. Freekeh’s hearty texture makes it excellent for pilafs, grain salads, and stews. Combine 1 cup rice and 2½ cups water (optional; 1 tsp. salt) in a saucepan. Bring to a boil. REDUCE HEAT (medium-low to low) and cover. Simmer 15-20 minutes or fresh is tender.